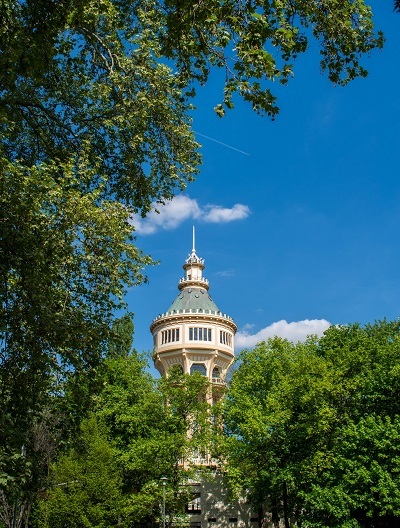 With Mother Nature shifting her chilly winter temperatures to a warmer spring, renewed life is arriving in Budapest. With several breathtaking in- and outdoor actives now within reach, you have no choice but to enjoy the thousand faces of this magical city. For starters, discover the beautiful and majestic Vajdahunyad Castle, built in 1896 to rejoice the 1,000th year of Hungary’s conquest of the Carpathian Basin. The grounds encompass peaceful man-made ponds with water fountains, hosting festivals, street performers and delicious food. Vajdahunyad Castle is accessible via metro line 1 (Hősök tere stop). 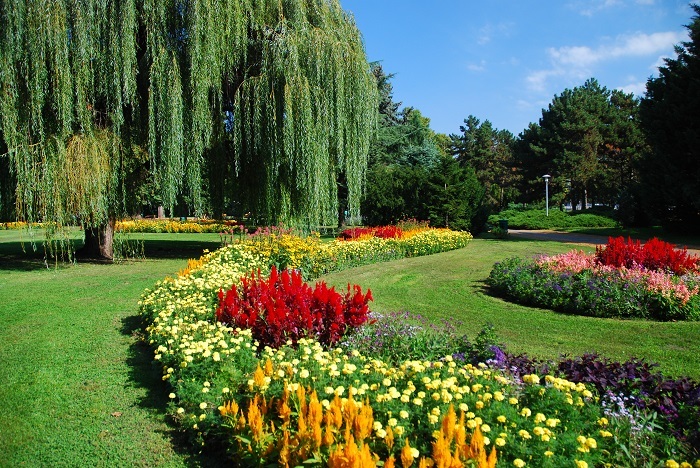 Take some time to bike, run or walk around the luscious green park. Once inside, you’ll discover lovely architecture. 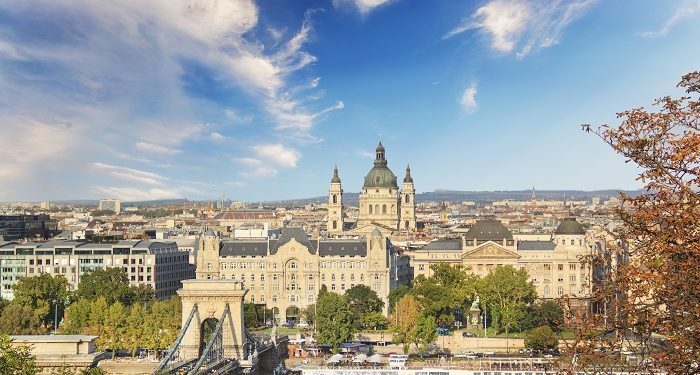 With the castle’s golden walls and crisp white trim melded among abundant vines; every visitor is sure to thank themselves for taking the trip to Budapest after this program. A recent addition to the ‘must-do’ itinerary would be to bike, run, or walk on Margaret island starting on the side linked to Árpád Bridge. A short journey here from downtown is via metro line 3 to Árpád-híd and a walk about 10 minutes to the entrance. There will be a ramp and a staircase at the middle of the bridge that’ll lead you directly to the island. While there, explore the Japanese garden, along with the numerous luscious flower beds, trees and grassy areas. In addition, the island offers a tiny zoo as well. Be ready for friendly dogs to run free and frisbees tossed to and from in the extensive open areas. 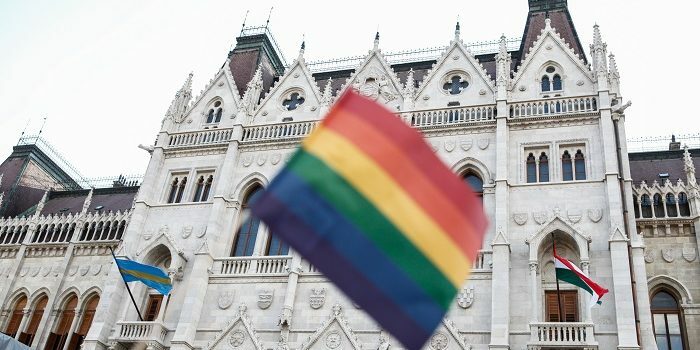 This island is quite treasured within Budapest and several Hungarians are grateful for and proud of it, making use of this centrally located sanctuary. With benches on almost every corner and various areas for a nice picnic, your are sure to enjoy the splendor of Margaret Island. Upon reaching the other end of Margaret Island, you will find the Margaret Bridge. This magnificent yellow bridge linking Buda and Pest, one can gaze in wonder over the Parliament to the left and the Fisherman Bastion’s/Matthias Church to the right. By taking a turn to the left, you will reach the Pest side in no time. 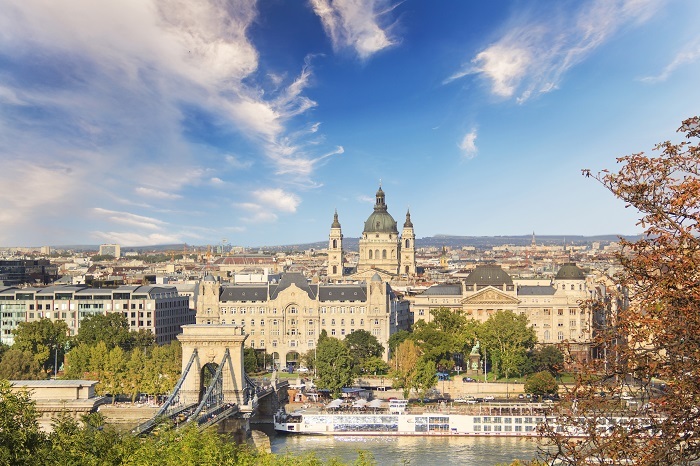 From there, carry on away from the island – the route will offer a beautiful view of the unmistakable Parliament building in addition to the calming Danube River. Should your choose to remain on this path, I would recommend heading to Deák Ferenc tér to ride the ferris wheel for stunning aerial views of St. Stephen’s Basilica. If you stay on the ‘river route’, further along you will encounter a quaint pedestrian tunnel where you’ll pass through and continue walking adjacent the Danube to several other glorious bridges of Budapest. A nice indulgence I recommend to all visitors would be the Páva Udvar (Peacock Passage) located within the Four Seasons Gresham Palace. 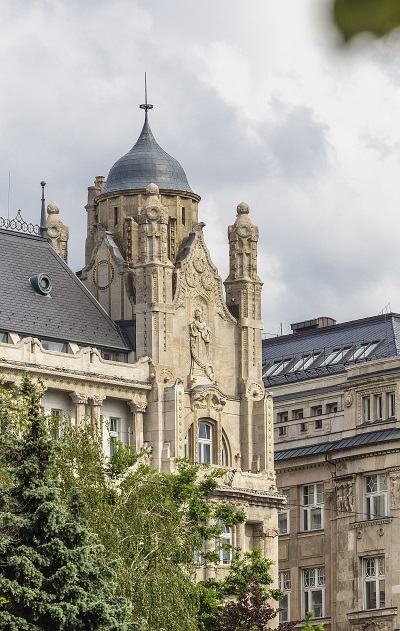 This palace was designed in an Art Nouveau style – erected in 1907, it was designed by Zsigmond Quittner and the Vágó brothers and its construction took three years. By far this is one of the greatest jaw-dropping, glorious, and true gems of Pest. You will, by no means, be disappointed strolling the remarkable foyer, reaching the passage on the right hand side of reception. The palace’s staff are exceedingly accommodating, inviting, and ensure high satisfaction for their guests. I’ve found the luscious plum velvet, down-filled cushion sofas to be immensely relaxing. The Four Seasons group restored this palace in 1997 to its former glory and it can be seen that not one aspect was overlooked. The handsome glass cupola will make you not want to look anywhere else. The intricate details , especially the enormous entryways with the wrought-iron peacocks are enchanting. To date, I’ve always chosen a dry white wine from Tokaj. Characteristically, I don’t desire anything red, however, this was an opportunity to discover and not be disappointed. Petite hors d’oeuvres are served upon request and vary depending on the time of year; this past season organic olives tossed in olive oil with an array of spices, along with lightly roasted almonds/cashews were served. I am looking forward to their spring selections. 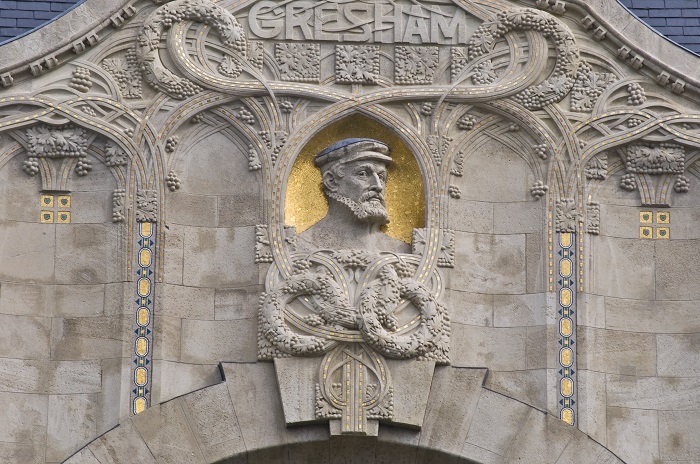 If budgeting, set aside a few forints and list Gresham Palace’s Peacock Passage a must. I would personally recommend this program to begin an eventful evening ahead or the conclusion of adventures in Budapest.